A Hoberman Sphere toy can be used for mindful breathing. It can be used to show how the lungs fill with air and expand on the in-breath, then contract with the out-breath. It also serves as a point of focus, or an anchor, for mindful breathing. Hold the sphere closed in front of your chest and with the in-breath, open the sphere to its full capacity. With the out-breath, close the sphere down to its smallest size. Repeat a few times. Hoberman Spheres come in two different sizes. 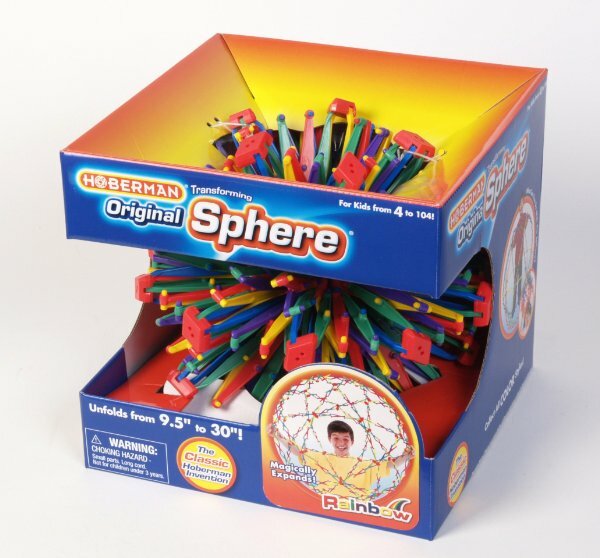 The Original Hoberman Sphere expands to 30″ and Mini Hoberman Sphere expands to 12″, which may be easier to use for smaller kids. Note: I do not recommend the Hoberman Mega Sphere for mindful breathing, but it sure looks like a lot of fun!